Edward M. King, 91, Rochester, passed away at 2:52 a.m. Wednesday. Feb. 3, 2016, at his residence. He was born on June 8, 1924, in Talma, the son of Fred and Elma (Crum) King. He grew up on his family farm and served with the United States Army from 1948 to 1949. On Nov. 3, 1950, in Rochester, he married Juanita Thompson. She preceded him in death on May 19, 2015. Mr. King early in life had worked for the Bendix Corporation in South Bend, and retired from the United States Postal Service with over thirty years of service. He had been a member of the First Baptist Church and the Odd Fellows Lodge. In his spare time he enjoyed fishing, carving, woodworking, chatting over coffee with his friends at McDonald’s and most of all spending time with his family. Survivors include his children: Susan (Rick) Hart, Mentone; Doug (Vickie) King, New Carlisle; John (Jackie) King, Bradenton, Fla.; Scott (Amy) King, Rochester; son-in-law: Mike Thompson, Rochester; grandchildren: Stephanie ‘Penni” (Ringle) (John Jason) Sharp, Ohio; Gretchen (Hart) (Johnny) Wadkins, Bourbon; Jeremy; Jason; Jaimee; Jennifer; Janna King, all of Bradenton, Fla.; Nicole; Lana; Davis; and Regan King, all of Rochester; granddaughter-in-law: Shannon Hart, Kingman; step-grandson: Greg Miller, South Bend; great-grandchildren: Zachary Sharp; Samantha Sharp, Ohio; Aubrey and Aidan Hart, Kingman; Braeden; Grant; Sadie; Addy; Oakley Wadkins, Bourbon; great-great-grandsons: Michael and Drake Sharp, Ohio; sisters: Elvira (Gerald) Romine, Mentone; Charlotte (Richard) Massey, Ark. ; Julie Faulkner, Bremen; several nieces and nephews. 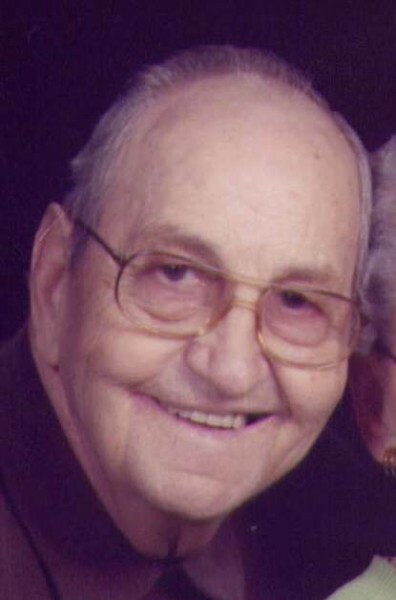 He was preceded in death by his parents; daughter: Jo Ellen Thompson; grandson: Aaron Hart; great-grandson: Caleb Hart; sisters: Hazel Kercher; Ruby Dinwoodie; and Frances Miller. Funeral services will be conducted at 11 a.m. Thursday, Feb. 11, at Zimmerman Bros. Funeral Home, Rochester, with Dr. Mark Spencer officiating. Friends may visit from 4-7 p.m. Wednesday, Feb. 10, and one hour prior to service at the funeral home. Burial will be at the Odd Fellows Cemetery, Rochester, where military graveside services will be conducted by the Fulton County Veterans’ Honor Guard. Memorial contributions may be made to the First Baptist Church.